Air Canada has dropped the price of a few flights from Toronto to Liberia, Costa Rica down to between $154 and $224 CAD roundtrip including taxes! There's just a few date combinations available, so this will likely sell out very quickly. 1. Go to FlightHub or the Air Canada Vacations website. Keep in mind that the Air Canada Vacations website defaults to 2 passengers when you search for a flight. When you see a price of $308, that's the total for 2 people. There are currently over 90 properties on Airbnb for under $99 CAD/night for 2 people in and around the North Pacific coast of Costa Rica on these dates. toronto, yyz, flight deals, air canada, liberia, costa rica, lir and central america. 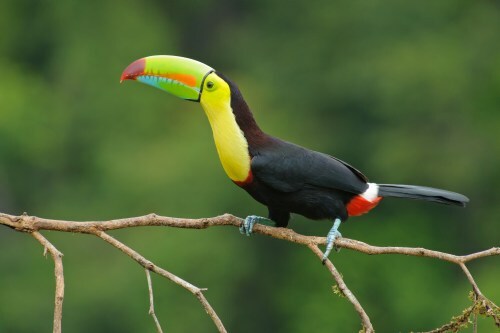 15 Responses to "Toronto to Liberia, Costa Rica - $154 to $224 CAD roundtrip including taxes ! (non-stop flights)"
Incorrect! The initial screen shows $154, when you "Continue" the price magically changes to $307.92. Very misleading of Air Canada. Pura Vida: That's actually the total price for 2 passengers you are seeing. The Air Canada Vacations website is a little unusual in that it defaults to 2 passengers when you search for a flight. Most websites default to 1 passenger. If you change it to 1 passenger before you search it will show $154. Yes you are correct, I just noticed that also. Just got n e-mail about cancellation of tickets. Have someone received the same latter? Unfortunately sometimes when there's a mad rush of people purchasing tickets, there are times when the booking site can't issue the tickets in time for everyone. Apr 2-9 ($254 roundtrip) and Apr 6-13 ($224 roundtrip) are still verifying on the AirCanadaVacations website. All other dates seem to be sold out. Thanks. Took it for $760/3ppl. Pura Vida???? Thank you Chirs!!! Cant wait to go with my sister and niece! Just wondering, if this deal is only for 1 week...or can i extend for another week? After seeing this deal I booked 4 tickets for our family, Apri 9 to 16(h. Total price was $895! Amazing, and great to have weekend travel dates. The AC vacations website isnt the best - I selected 2 adults and 2 children (age 2 to 17). I enter their ages - 10 and 13 and click next. The next screen states "a child must be 2 to 11 years old" ?? Truly puzzling, silly air Canada. Anyway, I now have 3 adults and 1 child. (i still don't understand why a distinction even needs to be made, it's the same price, and the DOB is is entered when you book). Oh well, great deal, Thanks! Thanks for sharing your experience Shaan! Have a great time with your family in Costa Rica (you too Kitty). Great deal. Looking for sale to St. Thomas or St. Lucia. Anything similar to Costa Rica deal?